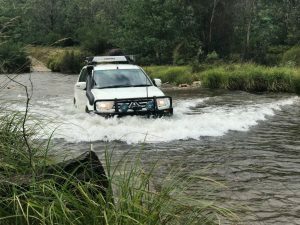 I really enjoy getting out into the Aussie bush, four-wheel-driving and camping under the stars. I’m a long-time member of my local 4WD Club and firmly believe in responsible off-roading. I’m lucky enough to live sufficiently close to the Kosciuszko and Brindabella National Parks, large tracts of State Forests, the magnificent Victorian High Country and NSW South Coast to indulge myself in the company of good friends and enjoy it all. Over time, I plan to make tracks and other resources available here.